There will be no school buses on the roads in the Thames Valley on Tuesday. All school buses in London, Middlesex County, Elgin County, and Oxford County are cancelled due to the Freezing Rain warning. 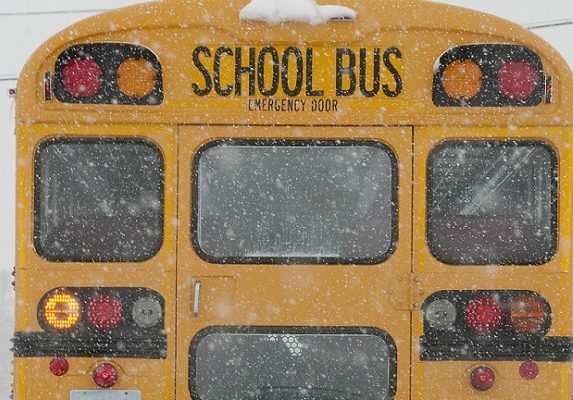 After first saying that schools would be open, both the Thames Valley District School Board and the London District Catholic School Board announced just before 7 a.m. that they were closing all schools for the day. Western University and Fanshawe College have also closed because of the weather conditions. Snow, ice pellets, freezing rain, and rain are in the forecast before it turns colder tonight, and the precipitation changes back to snow.